Hank Green started making YouTube videos in 2007 with his brother, John. They thought it was a dumb idea, but it turned out well. He is now the CEO of Complexly, which produces SciShow, Crash Course and nearly a dozen other educational YouTube channels, prompting The Washington Post to name him "one of America's most popular science teachers." Green co-founded a number of other businesses, including DFTBA.com, which helps online creators make money by selling cool stuff to their communities; and VidCon, the world's largest conference for the online video community. Hank and John, also started the Project for Awesome, which raised more than two million dollars for charities last year. 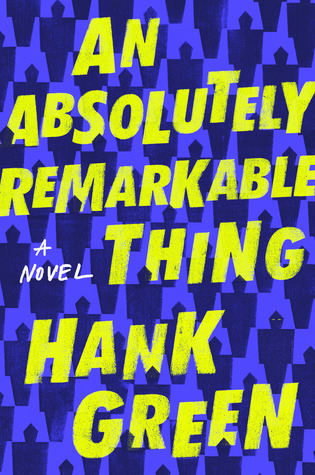 He has written for a variety of publications, including The New York Times, Scientific American, and Mental Floss Magazine prior to his first published novel, An Absolutely Remarkable Thing, due out on Sept 25, 2018.